Do you want a reliable cattle feeder that doesn’t rust, lasts longer, saves time and is efficient? Reduces your WHS risks? And gives you greater control over how much your cattle eat? How about fattening your cattle, faster? 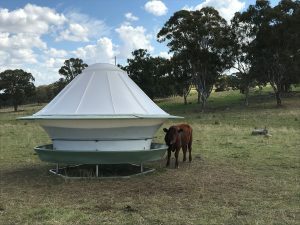 A cattle feeder that sustains them with free range feeding when there’s no feed in the paddock? Or a stock feeder that’s perfect for backgrounding cattle prior to putting them in a feedlot? With Roswell Ag cattle feeders, you will.